Food trucks started the mobile vendor crazy, and lately more and more retail-oriented businesses have been getting into the action as well. A San Jose-based flower shop is the newest vendor to go mobile. 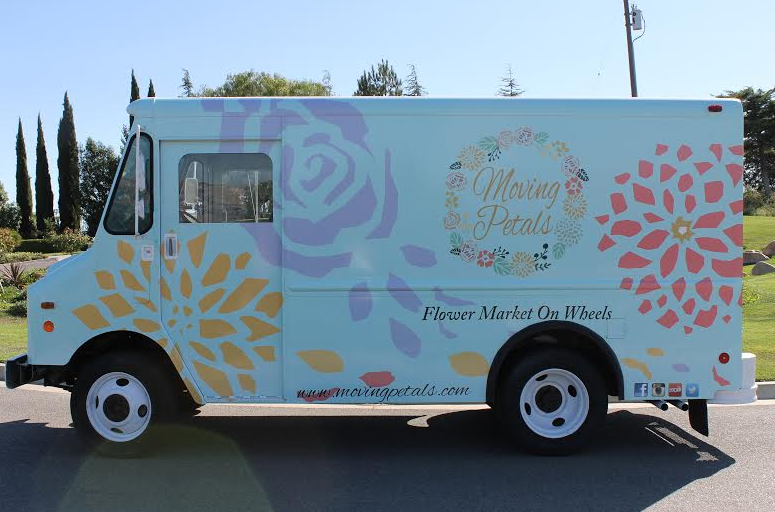 Moving Petals is the South Bay’s first flower market on wheels. They offer custom handcrafted bouquets right out of the truck, offering both convenience and quality. Their goal is be be at the forefront of the mobile movement and strive to become a recognized pillar in the community. I think it's a great idea and hopefully we'll see them around at the many major events in San Jose each year. The Moving Petals truck is already scheduled to be at Oktoberfest at San Pedro Square on October 11th, the Willow Glen Beer Walk on October 25th, and the Halloween Parade in Willow Glen on October 31st. To find out more, head on over to the Moving Petals website. To locate the truck, follow them on Facebook or Twitter.